On Friday, Dec. 14 at approximately 7:30 a.m., deputies were conducting a traffic accident investigation in Blue Lake when they were alerted by a citizen about a vehicle driving erratically on Taylor Avenue. The deputies located the vehicle on Taylor Avenue as the driver was walking away from it. 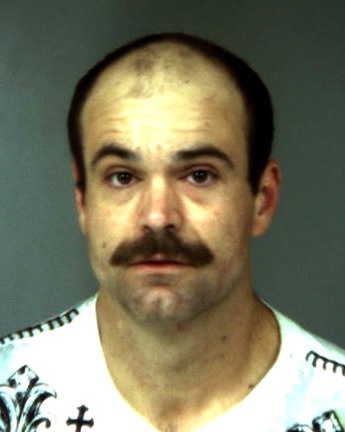 A deputy contacted the driver who was identified as Daniel Christie, 36, from McKinleyville. The deputy ran a warrant check on Christie which revealed he was on probation with a search clause. The deputy told Christie he was going to conduct a probation search. Christie initially complied, but then changed his mind and ran off. Both deputies pursued Christie and a struggle ensued. The deputies utilized a Taser on Christie which had little effect; he continued to fight with them. Christie was able to grab the Taser and struggled with the deputies over control of it. Two citizens witnessed the deputies struggling with Christie and came to the deputies aid. The citizens were able to assist the deputies with controlling and handcuffing Christie. Christie admitted to the deputies that he had used methamphetamine and that was why he ran from them. Christie was taken into custody for resisting arrest, threatening a public official, possession of burglary tools and probation violation. He was transported to the Humboldt County Correctional Facility where his bail was set at $50,000. This entry was posted on Friday, December 14th, 2012 at 3:06 pm	and is filed under News. You can follow any responses to this entry through the RSS 2.0 feed.